Add the butter and onions to the frying pan, and sauté over low heat until soft. Keeping the heat low, add the plain flour in 3 or 4 batches, mixing well, and sauté for an extra 2 to 3 minutes. Add the milk in 3 to 4 batches, mixing well between each addition. Make sure that no lumps form, and cook until the sauce reaches the consistency you like. If you want it to be quite thin, cook it for less time. 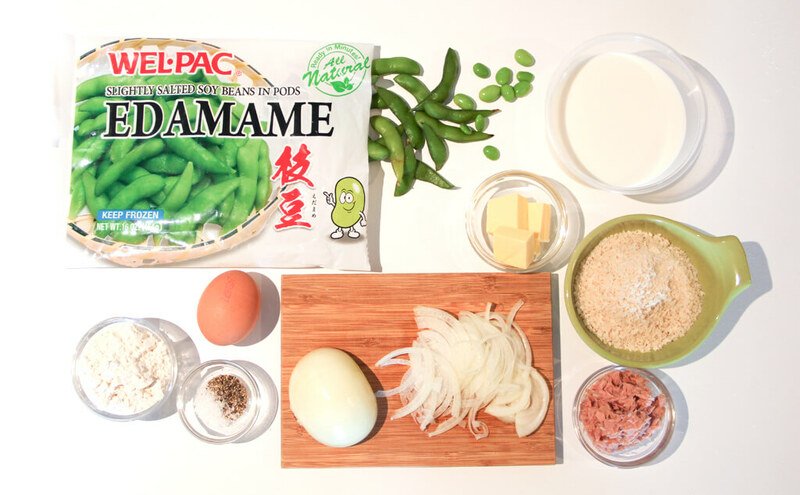 Turn off the heat, add the edamame and tuna, and mix well. Transfer the mixture to a shallow tray and smooth out the surface. Cover with plastic wrap, and chill in the refrigerator for 1 to 2 hours. Lightly oil your hands and form each portion into a cylinder shape. 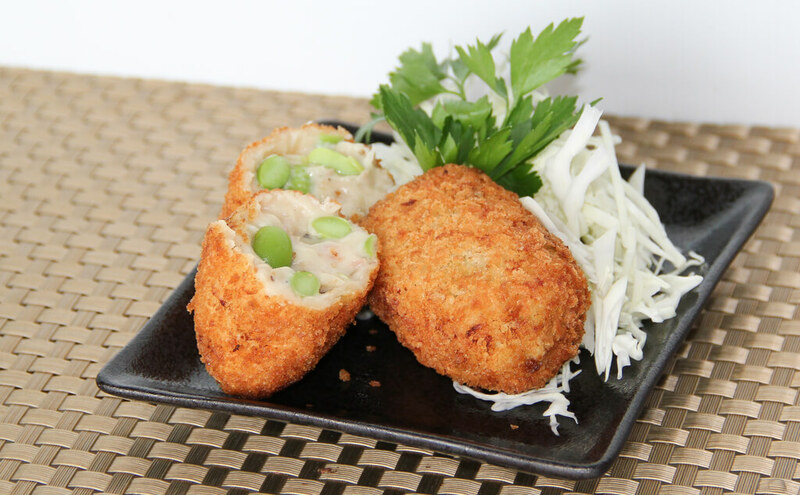 Coat thoroughly with a layer of flour, then dip in beaten egg, and cover in a layer of panko breadcrumbs. Deep fry in oil heated to 180℃ until golden brown and crispy. Serve while hot with tomato sauce.